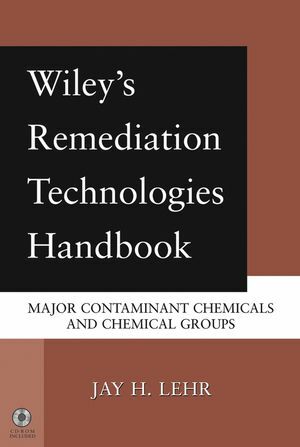 Covers the most important chemical and chemical groups that are found to pollute the environment, and the ways to remediate them. Gives succinct abstract describing the numerous technologies used to clean-up a wide range of pollutants. Provides the uses and limitations of each technique. Jay H. Lehr, PhD, is the senior scientist at AR Environmental Services Inc. and Science Director at The Heartland Institute. The author of twelve books and over 400 articles on groundwater science, Dr. Lehr has worked extensively with the federal government to develop key environmental regulations regarding surface and groundwater.